Our eggs are sourced exclusively from our own 200-bird flock of free range hens. The breed of hen we keep at Ashley Farm is the Warren, giving us a plentiful supply of lovely brown eggs. As you will see our chickens enjoy the whole farm. 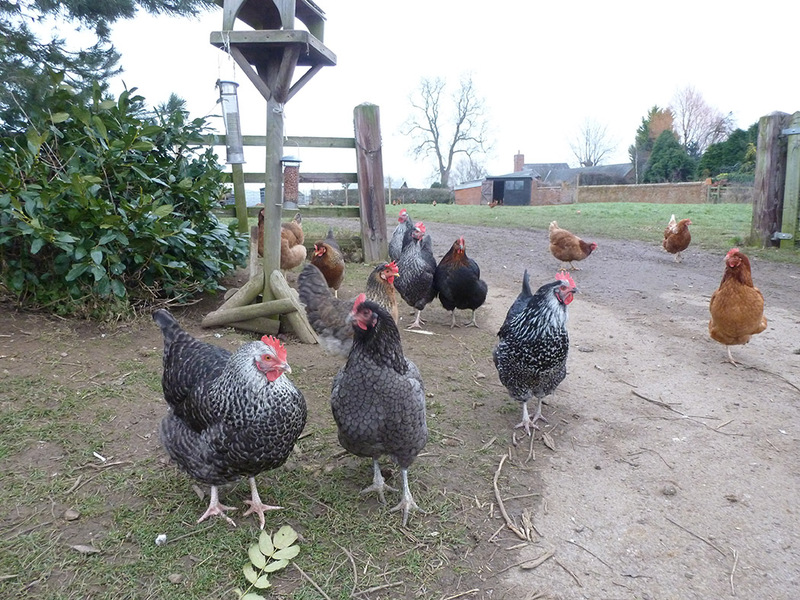 You are more than likely to be met by a welcoming committee of friendly chickens when you arrive! We also stock a selection of British cheeses, including Fosters of Earlswood, Lincolnshire Poacher and Colston Bassett Stilton. Cheddar and local Melton Mowbray Stilton and also Continental cheeses. We can also highly recommend our plentiful supply of real dairy ice cream from Thaymar (Nottinghamshire). A firm staff and customer favourite!